Following our tip on how to customize the navigation button setup on the LG G3, we wanted to make sure you all knew that you could set your new phone up for one handed operation as well. For me, this is an option that will always be enabled. 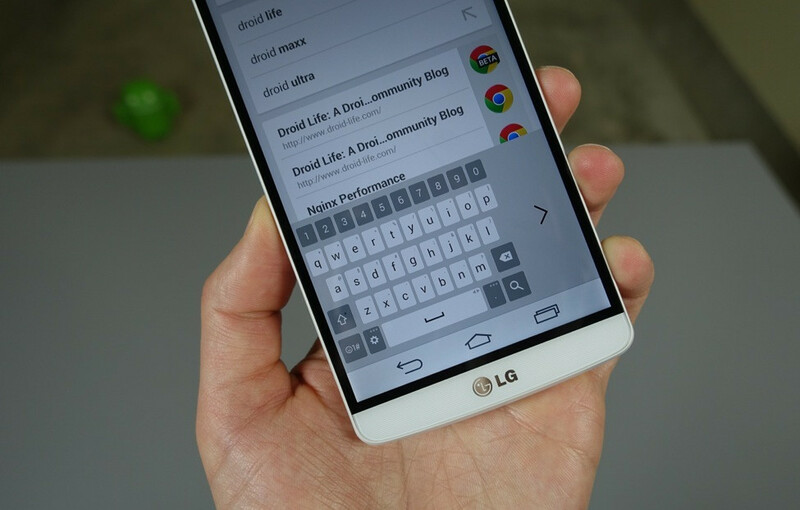 Setting your phone up for one handed operation allows you to still use the oversized G3 in one hand, meaning the keyboard can be pulled to one side or the other to make for quick typing, the dialer can jump from side-to-side depending on the hand you are using, and even your lock screen can be adjusted so that you won’t need two hands to enter your PIN. You can find one handed operation in the main settings menu. Once there, you will find boxes that can be checked for the LG keyboard, Dialer, and lock screen, none of which should eat up battery if checked. These are those settings you can enable and then forget about for the most part, so that they will be ready should you need them. Check out one handed operation in action below.